I am a board-certified Physician specializing in Pediatrics and Adolescent Medicine. My experiences spans over 20 years, and I have practiced medicine everywhere from New York to California. I currently have my own medical practice in Lancaster, California. I’m a Pediatrician, but a Father first and foremost. And as a Father who’s raised a child, I understand the trials and tribulations that parents go through. Having experienced it first hand, I can relate to the worried feeling one experiences when their child is sick or ill. I want to help calm worried parents, and most of all, I want a sick child to be healthy again. Whether it be the common cold, an ear infection, or even a more serious chronic disease, I treat every patient with the same understanding, care, and thoroughness. Providing the best possible medical care for your child is of the utmost importance to me. As the stay-at-home mother of two happy and energetic children I often have questions concerning their health and well-being. Dr. Brian Gaw and staff are knowledgeable and friendly answering any and all questions pertaining to the health and needs of my children. They treat my children as the small individuals they are taking caution to make an outing to the doctor seem less stressful and more of a child’s normal routine…the lollipops help too! We appreciate so much the opportunity to make same day appointments that way our children can feel better that much faster. 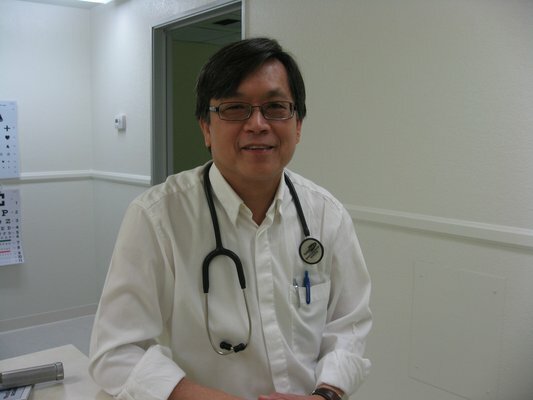 Above any other doctor my husband and I have been associated with we value Dr. Gaw’s opinion and expertise most. I often recommend Dr. Gaw to other parents simply because when I don’t know how to make my children feel better, he does. Thank you, Dr. Gaw and staff for treating my children with the utmost care and professionalism. My husband and I truly value the way you serve our children. I too believe that Dr. Brian is a wonderful pediatrician. As a mother of four I have experienced everything from the common cold to seizures and he has been wonderful in every situation. Not only in helping my children feel better but helping put me at ease during the stress of it all. And best of all my girls love him and never hesitate to go to an appointment. I recommend him to everyone I encounter with regards to a good pediatrician. Highly recommended! Great Job Dr. Gaw, Keep up the good work!